He’s drinking the Kool-Aid! 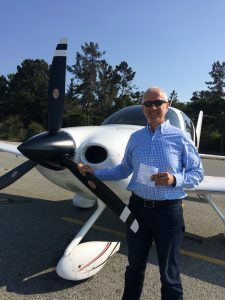 Former Cirrus-pilot-turned-Bonanza-owner and Commercial pilot Ryan Radcliff recently came to Monterey while his Bonanza BE36TC is in the shop for paint and annual. 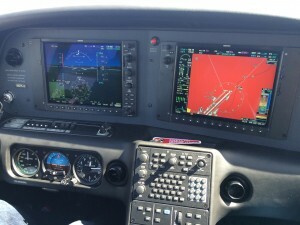 Ryan reacquainted himself with the SR20 and transitioned to the new Garmin Perspective. His plans include a flight to Catalina and maybe a few hops over to his condo in Mammoth. Have fun! 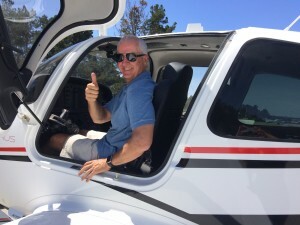 Proud Cirrus owner, Dan Schmidt, earned his wings on Tuesday at Fresno airport with DPE Bob Schwoerer. 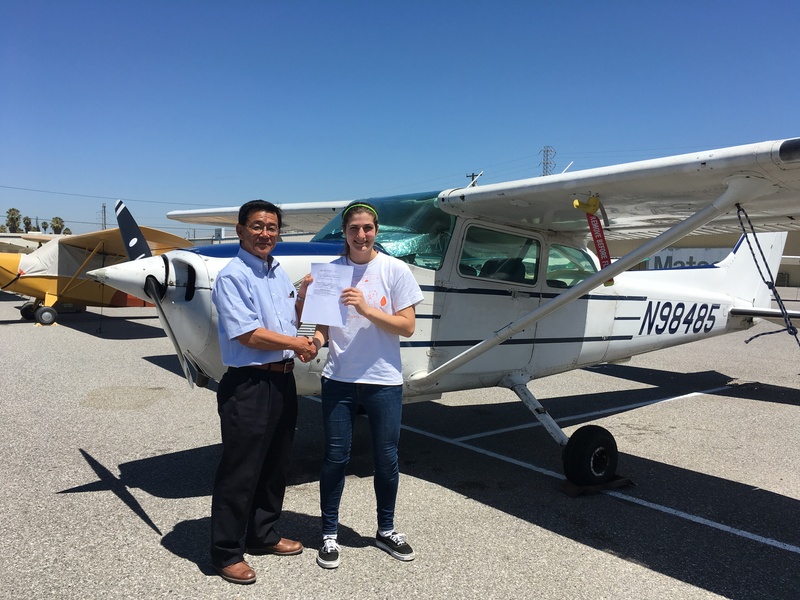 Dan began training in our Cessna 172s out of Monterey to fulfill a long-long dream of flying. 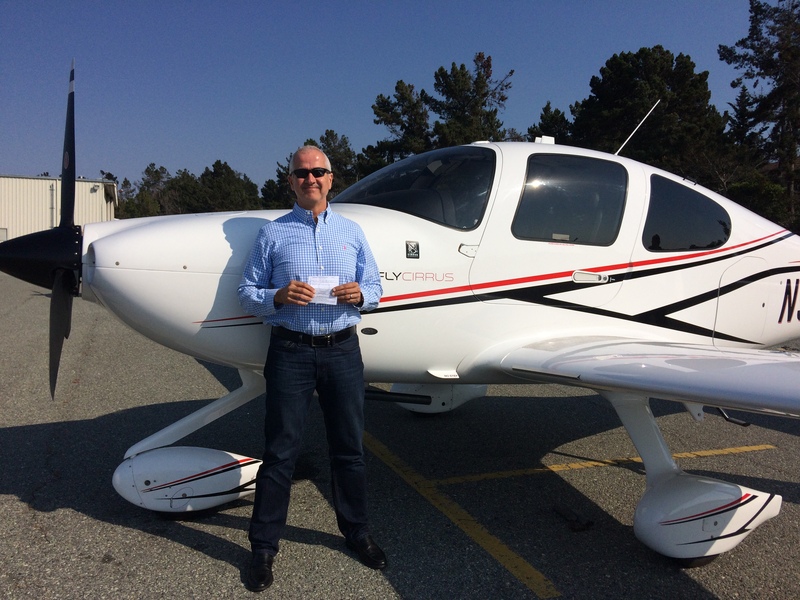 Dan purchased the Cirrus SR20 in February and finished training for his Private Pilot license in the new plane. He travels often, and being able to fly allows him flexibility to meet clients and still be home for dinner with his wife and daughter. After a bit of relaxing and pleasure flying, Dan plans to continue on with instrument training. 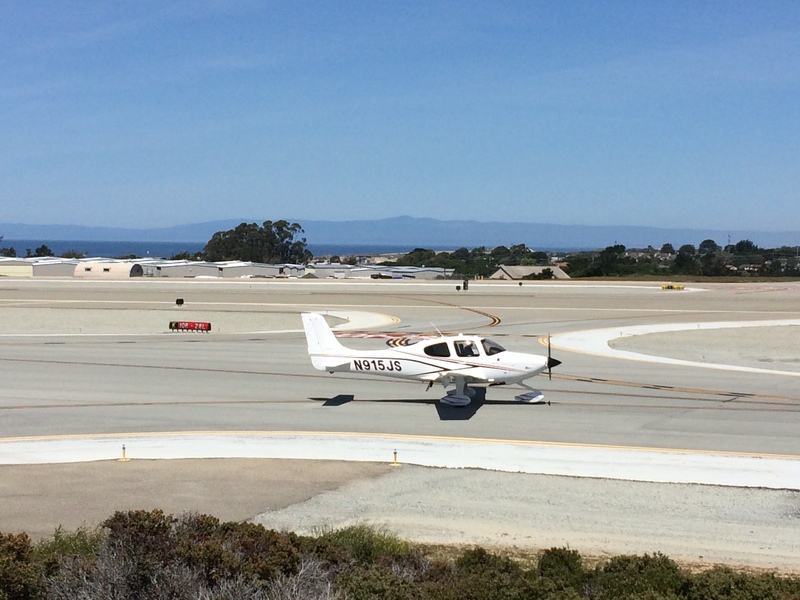 Congrats to Dan for taking his new baby around the pattern solo at Monterey! 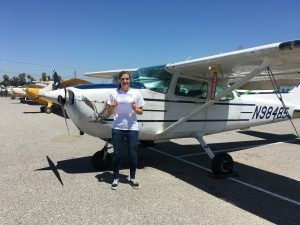 Despite numerous aircraft inbound on the parallel runway in this class C airspace, Dan kept his cool and flew 3 beautiful patterns on runway 28R. 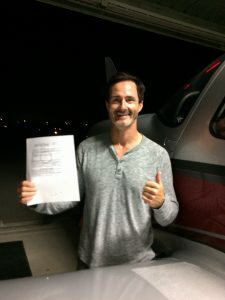 We look forward to seeing you holding a pilot’s license next! 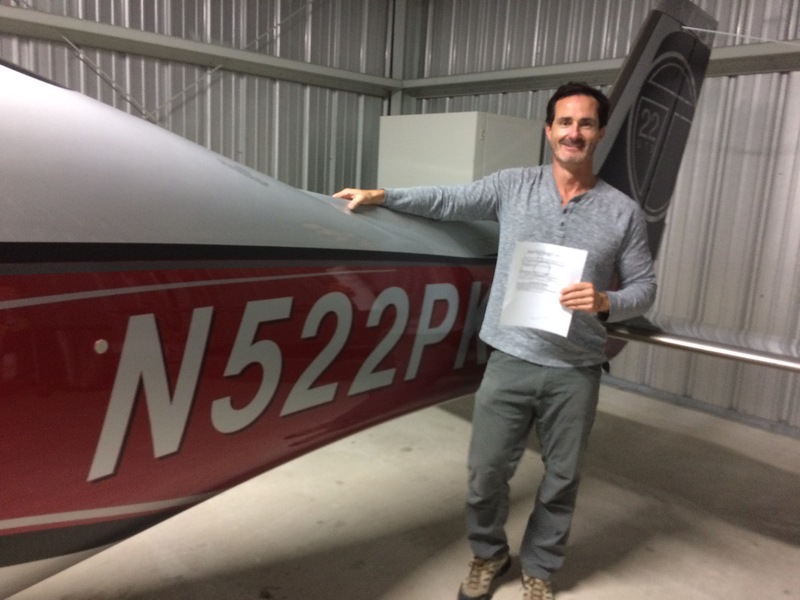 AeroDynamic Aviation recently became a Cirrus Training Center (CTC) with our own Cirrus Standardized Instructor Pilot (CSIP). 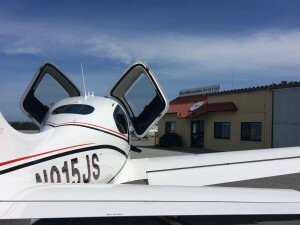 Our Chief Instructor, Jen Delp-Mallet, went through training at the Cirrus factory in Duluth and brought the new Cirrus to its home base of Monterey. 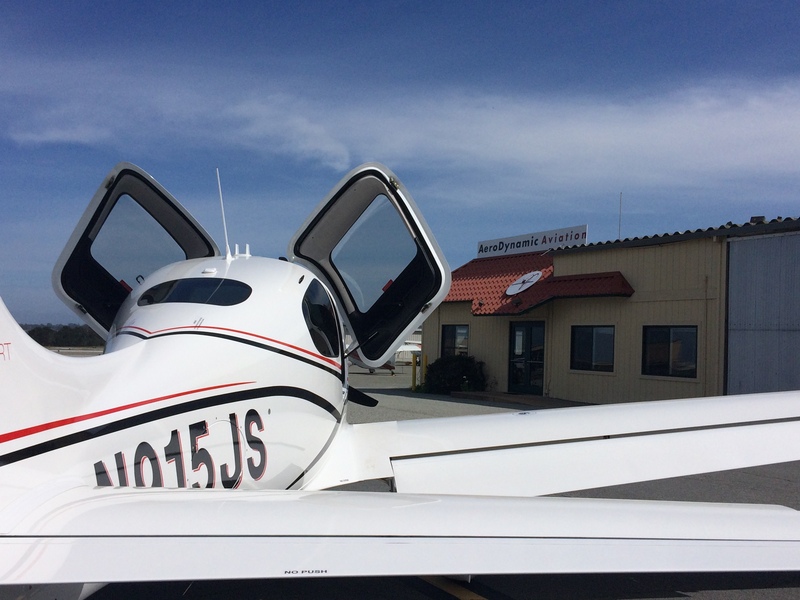 The 2016 SR20, N915JS, completed its break in period and is now available for training and rentals. Please contact our Monterey office or go to through online system to schedule with Jen for your checkout or to begin training. For more details on N915JS, please click here.